Although each journey is different, they all share one common goal…better health. 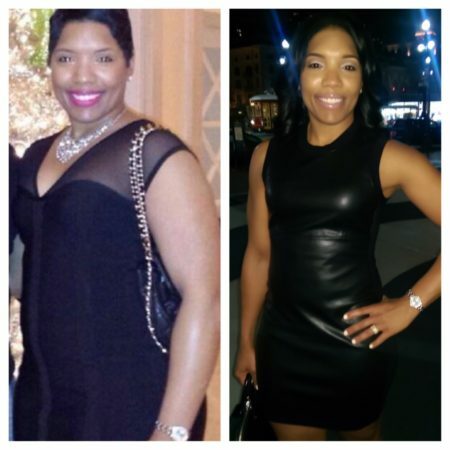 Success beyond weight loss We hope their stories inspire you to continue pushing towards your health goals. 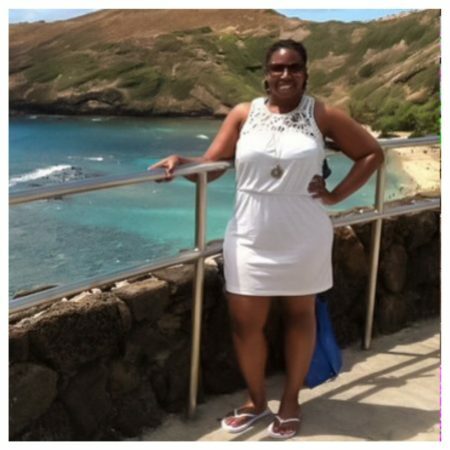 I connected with my Better Choices healthy lifestyle coaches at a time when I was trying to lose weight that accumulated over years of putting myself on the back burner. I put everyone and everything in my life before myself. I remember my first meeting with Eric & Maleka where I told them that I didn’t have time for myself and they told me that if I didn’t make time for myself that I wouldn’t be beneficial to others. At the end of that conversation, I didn’t truly believe that I could be a priority but I took those words and ran with them. I took control of my life, followed their instructions exactly and I began to see my life and my body change before my eyes. Better Choices has taught me that with balance and consistency, I can have lasting and sustainable results. Better Choices has allowed me to change my thinking and therefore my life has been changed forever. Through coaching, I’ve developed practices that I can live with for the rest of my life. I’ve developed confidence that I never had in life thanks to the support of my awesome coaches. I’ve NEVER felt alone throughout this entire journey. My coaches supported and celebrated me every step of the way and I am truly grateful for that. The coaching extends well beyond nutrition and fitness. I’ve been taught how to avoid pitfalls that may cause me to fall back into unhealthy habits. Those lessons possess value that will guarantee maintenance. My success has motivated my family to change as well; that makes me most grateful to my coaches. God places people in your life just when you need them and I’ll definitely say that I met Eric & Maleka at a time when I truly needed someone to save me from myself. My life is so much better because of my coaches. They helped me to get my life back when I felt like there was no hope for success. They use their personal experience and extensive research to help others reach their goals and change their lives. Meeting and working with Eric and Maleka has truly been a blessing in my life. I’m excited about setting and reaching new goals because Better Choices has equipped me with all the tools for success! After finishing my Doctorate last year, I realized I had gained 25 pounds in addition to a degree! The stress, cravings, and social eating of those years put a strain on my 5-foot petite frame. 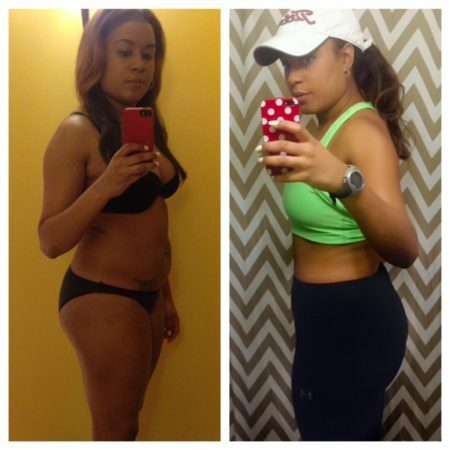 After moving to New Orleans, I began working out as much as possible but nothing seemed to change. I entered a weight loss challenge at my gym and after several weeks of “tantrums,” I finally started to get used to some changes in my diet. I met Maleka and Eric when they were giving a talk on tracking food during this challenge and somehow, I had a revelation when they shared the idea that “it’s all about the numbers.” It took the emotion out of the struggle to lose weight and I started coaching with them soon after. They have provided such amazing support while helping me laugh at myself at the same time. Rather than feeling restricted with how much I can eat, I feel a much greater sense of control – I can even go out to eat with friends as long as I can plan around it and adjust the rest of my day. 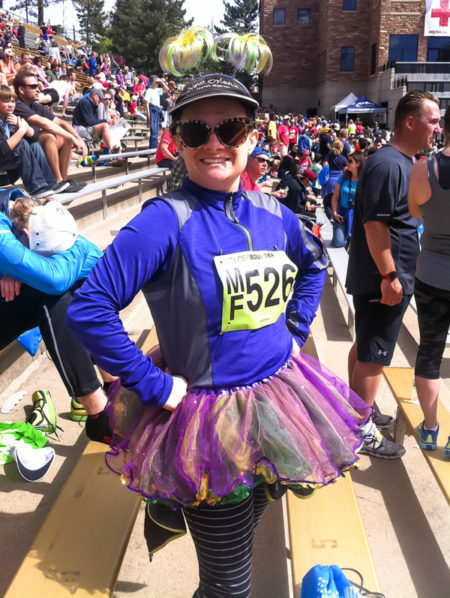 Along with my new discovery of a love of running, our team has helped me lose 18 of my 25 pounds! I still have work to do but for a change, I am confident it’s only a matter of time instead of an unattainable “someday.” I’m so grateful to my coaches! People come into your life for a reason, a season, or a lifetime.” I’ve seen this quote a thousand times and often reflected on its meaning. Those words often come to mind when friendships end and I always say it was only for a season. It wasn’t until December of 2013, that I was able to understand the true meaning of the quote. What started out as simply paying for a workshop (which I thought was a cooking class), ended up being an investment in myself. Eric and Maleka Beal came into my life for a reason and a lifetime. At the time I was depressed after having an ectopic pregnancy and weighed 200 pounds. I had low self -esteem and high blood pressure. Over the years I had tried every diet imagined and even took diet pills that landed me in the hospital with an extra heartbeat. It was time for a change. I visited close friends and was shown a cookbook. I reached out to Eric and Maleka and ordered the cookbook. After receiving the cookbook, I saw that there was an upcoming workshop, which I eagerly signed up for under the misconception that I was going to learn how to cook. This is when God began to work. The first workshop was rescheduled and I couldn’t make the second due to a family loss. Maleka then suggested that I do coaching. At first, I was hesitant, but decided to give it a try. 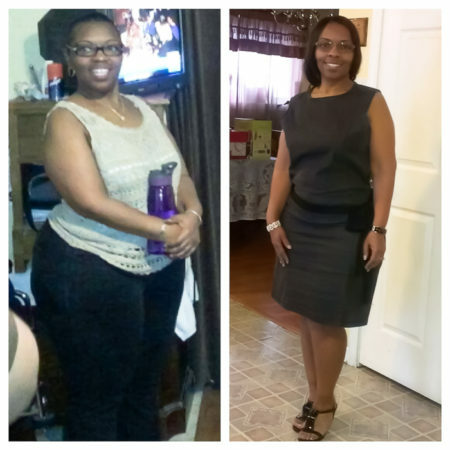 On February 6, 2014, I started my Better Choices journey. I set a lofty goal of 50 pounds, trying to get to my “on line weight.” As the weeks went by, the pounds started to fall off (faster in the beginning and then slow as hell). I began to realize that I didn’t have to eat tuna and lettuce all day. Maleka and Eric taught me how to eat. I always thought that in order to lose weight that I would have to give up practically everything. I was brainwashed into thinking that I couldn’t have bread, rice, or dairy. It took some time for me to “trust” that I could actually eat these things, but I am certainly glad that I did. Exercising was never an issue for me; however, I did learn that I couldn’t lose weight with a bad diet. As soon as I made the suggested changes and continue to exercise, the magic happened. My Fitness Pal became “Big Brother.” My weight continued to fall off and so did my clothes. I began to see progress and so did others. And then, I went to the doctor. I was diagnosed with high blood pressure at the age of 19. I was told it was hereditary and that I would always be on medication. This office visit was different. I questioned my doctor about my blood pressure medication and presented my case. I was 30 pounds lighter, following a low sodium diet and exercising 5-6 times a week. My blood pressure reading at the office was 120/70, without medication. Then, it happened, she took me off. After 15 years, I was no longer on blood pressure medication. As a black woman in her 30’s, that was a blessing! All because I started making Better Choices. I had a tremendous boost of self-esteem, maybe a bit too much if you ask my husband. I scheduled photo-shoots, put on a two-piece bathing suit with no cover up and have completed two 5Ks. My progress has not only motivated myself, but I appear to motivate others! This has truly become my lifestyle. Maleka and Eric have become more than just coaches to me. At a time when there was such great loss, I gained two great friends. Their words of encouragement have pushed me on days when I couldn’t push myself. God allowed our paths to cross for a reason and I will remember them for a lifetime. I started my weight loss journey about 3 months ago. I was at a real low point in my life. I wanted to just give up. 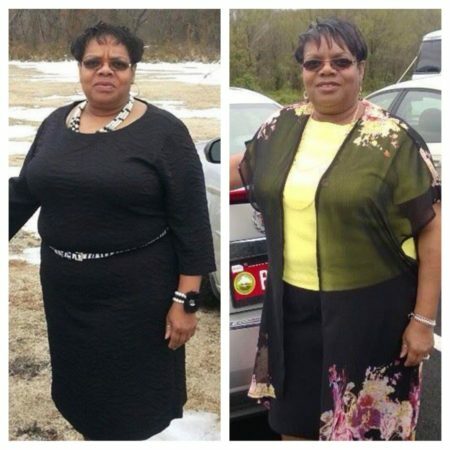 God put me in contact with a couple that inspired me and 3 months later, I am at my first milestone….25 pounds down and below 200 pounds for the first time in over 20+ years!!!!! I’m feeling good about myself and my spirit life is changing, getting stronger because of his GRACE. #BetterChoices + the grace of God = much success….!!!!! “John 8:32: And you will know the truth, and the truth will set you free.” This scripture is my journey with Maleka and Eric. On our very first Skype Eric asked me, “What was the last thing I ate the night before? I responded a Rock-N-Roll. He asked me to retrieve the wrapper and read the label. So I read it and the information blew my mind. Eric & Maleka began reviewing my weekly progress, I have to tell you, Maleka’s face told the story as she read the details. My next truth moment came when I least expected it. I was at the movies. No, it is not what you are thinking, I did not eat the popcorn. Normally, once the movie is over and I try to stand to my feet, I have to wait to get the circulation in all of my joints to cooperate. Well, after working with Team Beal and making changes to improve my lifestyle, I was able to JUMP UP out of my chair and trot down the movie theater stairs!!! I no longer have the pains and aches that I had!!! Because of Eric and Maleka, I now know the the effects of various foods on my body and the importance of daily nutritional balance. Please don’t think that this truth journey stops with food. I was also given some personal truths that I was not comfortable with, but at the end of the day, I knew the only way I could succeed was to accept the truth that my two angels gave me about myself. Eric and Maleka have been a God sent into my life. When my Dad passed in February, I reached out to them at the very last minute on a very personal issue. They dropped everything that they were doing to help me. They put SELF aside because they were going through a very personal issue as well. They came to my rescue. I am forever grateful to you guys. Hats off to My Coaches, My Counselor, My Confidantes, My Angels. Betterchoices has been such a blessing to me in many ways! Eric and Maleka are fun to work with and their system works. Success is in the system! The support from the coaches are phenomenal and you get more out of your consultations than just discussions about weight. 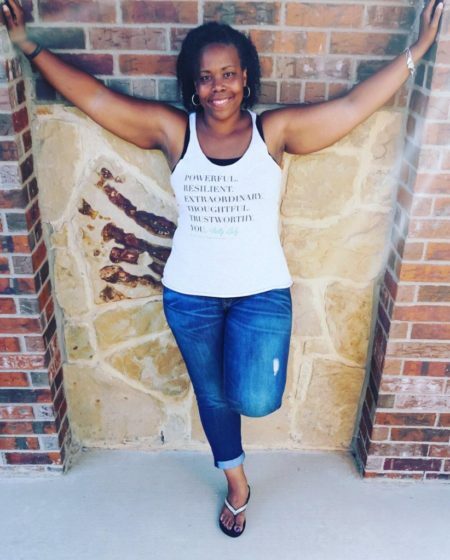 Eric and Maleka are life coaches and they help you conquer any life struggle through motivation, information, and inspiration. I tried it all! 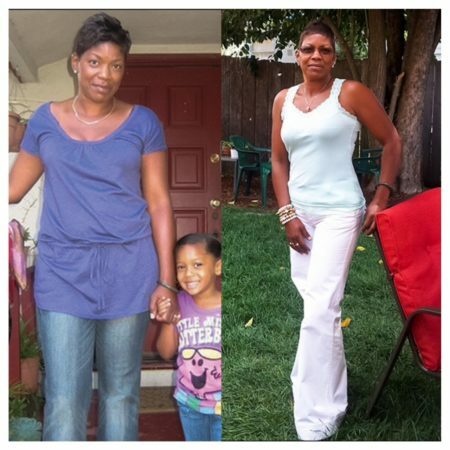 Weight watchers, Veganism, Atkins diet, Paleo diet, and even had smart liposuction. All diets and surgeries failed. I decided to become a betterchoices client as a last resort and it was the best decision I could have made (just ask my significant other). Betterchoices teaches one how to obtained a well-balanced diet including exercising and proper nutrition. It also teaches you how to make the “better choice” when your options are so few. I may have lost about 15+ pounds but I was gaining knowledge and lifelong coaches along the way! Betterchoices is the better choice when it comes to achieving and maintaining an optimal lifestyle! I have been on a journey to lose weight my entire life, and consistently for the past 10 years. Like many I have “done it all” without much luck and tons of money wasted. I am a certified “foodie”; if I could get paid to eat, I would! I struggle with “diets” of any sort because I feel they won’t allow me to any longer enjoy food. Then I discovered BetterChoices and found that food can still be tasteful and you can even still enjoy the things you love, but they teach you the WAY to do it. The biggest benefit for me is the level of accountability they hold you to and the level of access you have to them. They text/email often and you can reach them when you have a question (or frustration) and they will help you to do things like navigate the grocery store or the menu while you are out to eat. I have worked with all sorts of dietitians and health experts in the past, but one thing that they all had in common was that they had always been healthy/fit individuals. Why does that matter you ask? Because they don’t know the struggle! I love working with BetterChoices because they know what it is like to have made wrong decisions when it comes to food and fitness and they don’t shy away from sharing the mistakes they made in the past but they are now a living testimony to how we are all capable of overcoming every reason (or excuse!) for not making the “better choice” when it comes to our health. The level of support is not like anything I had been use to before. I still have a very long way to reach my goal, but I am looking forward to continuing to work with them. They are fun and encouraging and what my mom would call “good people” that go well beyond caring just about you losing weight; they care about your overall health and happiness. The things they teach you stick with you, even in your weakest moments, you are equipped with all you need to get through, its just up to you to make the BetterChoice. I have accomplished so much from BetterChoices…mentally, physically, spiritually, motivation…everything. It’s been something I really didn’t expect and it’s just been something that has become a part of my lifestyle. It’s covered ALL the bases. I would have never thought that it would be like this; especially with you guys being where you are, in New Orleans and me in California. I didn’t think even the weight loss would work. It has been an amazing journey! Look, I am 57 years old and I feel like I am JUST beginning to live my life to the fullest!…And it does not matter if you have to lose 100 lbs. or 40 lbs. BetterChoices is the way to go. I was sitting down yesterday thinking about the whole process of losing weight and living a healthy lifestyle. For me it’s like putting a puzzle together. First you set your mind to wanting to lose the weight, how much you want to lose, and how you want to see your body at the end. It’s like going to the store and looking for the puzzle you want to put to together. You join BetterChoices. Eric and Maleka help and guide you on how to put the pieces together. Sometimes, the puzzle has 50 pieces. Other times, it has over 500 pieces. At the end of our journey, ALL the pieces of the puzzle will be put together. This is my lifestyle — all glued and put together for LIFE!